If an IT consultant calls you and says they can “simplify” your IT, hang up. Seriously. Anyone who has worked in a large enterprise will tell you that business processes and information systems at massive scale are not simple. They are extremely complex. Can you simplify individual processes or information systems? Of course you can and those opportunities should not be ignored, but a large enterprise will always be complex. You already know this. Do not let someone convince you otherwise. Chaos, on the other hand, is a different story. Chaos develops when there is no shared understanding of the relationships across the enterprise business processes and information systems. The lack of strategic alignment across business units and IT creates projects that do not deliver value to the business. The lack of centralized governance can allow “shadow IT” to implement solutions that put processes, information systems, and the business at risk. Chaos wastes time, money, and resources. Complexity, however, can be powerful and can be leveraged. It is what keeps your web browser streaming a movie from a server a thousand miles away even when various “pieces” of the internet are not working. 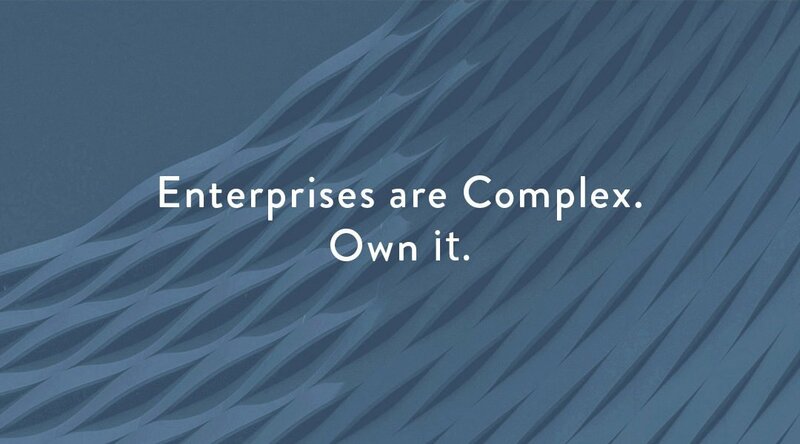 Properly leveraged complexity can make your enterprise more robust. But it can introduce chaos and risk if not properly managed. How do you innovate by leveraging complexity while eliminating chaos? Robust Enterprise Architecture (EA) is a great way to manage your complex processes and systems while eliminating chaos. EA should be helping IT and business partners innovate by developing and communicating strategies, standards, guidelines, and solutions that accelerate innovation while keeping chaos at bay. Make sure your IT and business are working together to reach enterprise goals and objectives. Scott Stewart is an Enterprise Architect consultant. He has worked as an IT professional for more than 20 years where he has done everything from strategic planning to racking servers.